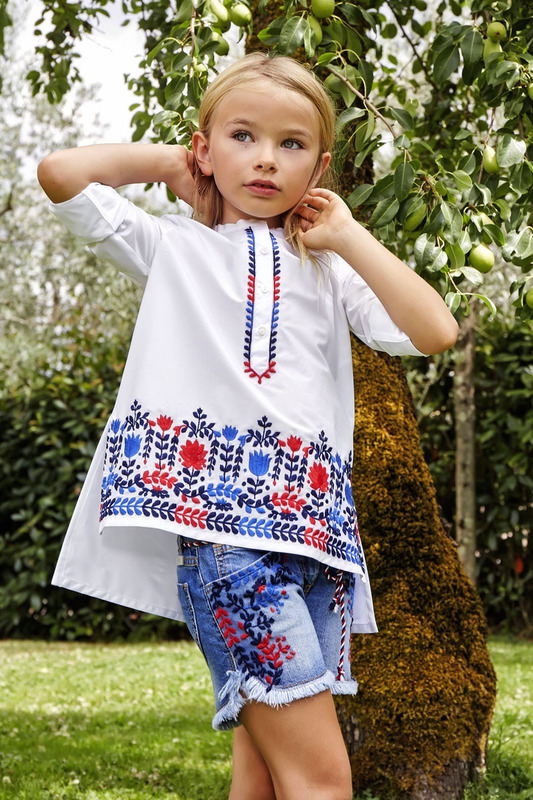 Ermanno Scervino Junior infuses luxurious Italian craftsmanship with a playful attitude. Lightweight designs made from lustrous fabrics are finished with precious metals and laser-cut detailing. 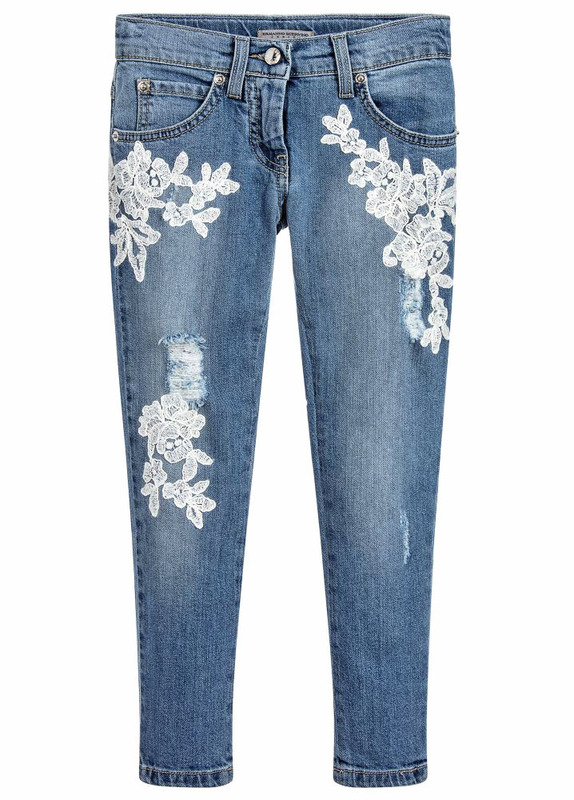 Pretty blue-wash denim jeans, by Ermanno Scervino, with a washed and worn look, and beautiful white floral embroidery. They have a straight but narrow leg, five pockets and a logo badge on the back.